George and Harold are usually responsible kids -- whenever anything bad happens, George and Harold are usually responsible! This time, their latest prank backfires, and they accidentally invent an army of terrifying talking toilets. Luckily, they know a superhero with enough snap in his waistband to save the day! 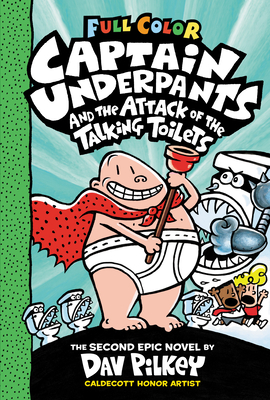 This looks like another job for the amazing Captain Underpants!